As we all know, this is the age of competition, and competition is increasing day by day among various people, offices etc. The reason behind this competition is only that one wants to look better than others. This is also the case between various offices. They are working and trying to make their offices look better than the offices of many other people in their location. To improve and alter the look of their offices, they would keep on changing office furniture. Out of all furniture items, a small office desk is given more importance, simply because it's the one that attracts more attention than any other thing. 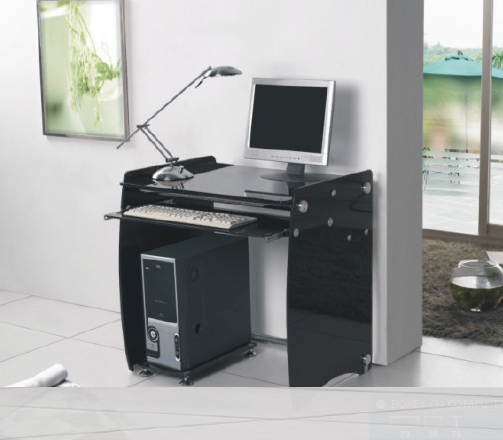 Desks in the offices provide more importance than any other product available. Certain things should be kept in mind during or before buying a small office desk. Above all, you should not buy a desk that is too small to fulfill your demands. If you are willing to buy a small office desk, that's fine; but remember that it should meet your needs. It should be designed in such a way as to hold all your things on it. Furthermore, as desk is a piece of furniture where you have to spend most of the time and do most of your work at it, therefore it must be the best possible sort. First of all, before buying a small office desk, keep in mind the place where you have to put that desk. If possible, measure that place and then try to find a suitable desk according to that measurement. This will prevent your office from looking overwhelmed with the desk.